For the first time in English in over a century comes a new translation of the forgotten sequel to Dumas’s The Three Musketeers, continuing the dramatic tale of Cardinal Richelieu and his implacable enemies. 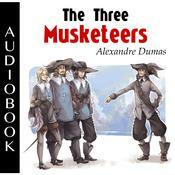 In 1844, Alexandre Dumas published The Three Musketeers, a novel so famous and still so popular today that it scarcely needs introduction. Shortly thereafter he wrote a sequel, Twenty Years After, that resumed the adventures of his swashbuckling heroes. Later, toward the end of his career, Dumas wrote The Red Sphinx, another direct sequel to The Three Musketeers that begins not twenty years later but a mere twenty days afterward. The Red Sphinx picks up right where the The Three Musketeers left off, continuing the stories of Cardinal Richelieu, Queen Anne, and King Louis XIII―and introducing a charming new hero, the Comte de Moret, a real historical figure from the period. A young cavalier newly arrived in Paris, Moret is an illegitimate son of the former king and thus half-brother to King Louis. The French Court seethes with intrigue as king, queen, and cardinal all vie for power, and young Moret soon finds himself up to his handsome neck in conspiracy, danger―and passionate romance. Dumas wrote seventy-five chapters of The Red Sphinx for serial publication but never finished it, and so the novel languished for almost a century before its first book publication in France in 1946. While Dumas never completed the book, he had earlier written a separate novella, The Dove, that recounted the final adventures of Moret and Cardinal Richelieu. 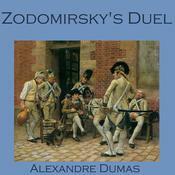 Now for the first time, in one cohesive narrative, The Red Sphinx and The Dove make a complete and satisfying story line―a rip-roaring novel of historical adventure, heretofore unknown to English-language readers, by the great Alexandre Dumas, king of the swashbucklers. For the first time in English in over a century comes a new translation of the forgotten sequel to Dumas’s The Three Musketeers, continuing the dramatic tale of Cardinal Richelieu and his implacable enemies. In 1844, Alexandre Dumas published The Three Musketeers, a novel so famous and still so popular today that it scarcely needs introduction. Shortly thereafter he wrote a sequel, Twenty Years After, that resumed the adventures of his swashbuckling heroes. Later, toward the end of his career, Dumas wrote The Red Sphinx, another direct sequel to The Three Musketeers that begins not twenty years later but a mere twenty days afterward. The Red Sphinx picks up right where the The Three Musketeers left off, continuing the stories of Cardinal Richelieu, Queen Anne, and King Louis XIII―and introducing a charming new hero, the Comte de Moret, a real historical figure from the period. A young cavalier newly arrived in Paris, Moret is an illegitimate son of the former king and thus half-brother to King Louis. The French Court seethes with intrigue as king, queen, and cardinal all vie for power, and young Moret soon finds himself up to his handsome neck in conspiracy, danger―and passionate romance. Dumas wrote seventy-five chapters of The Red Sphinx for serial publication but never finished it, and so the novel languished for almost a century before its first book publication in France in 1946. While Dumas never completed the book, he had earlier written a separate novella, The Dove, that recounted the final adventures of Moret and Cardinal Richelieu. 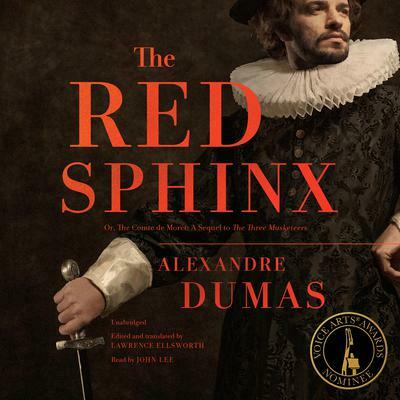 Now for the first time, in one cohesive narrative, The Red Sphinx and The Dove make a complete and satisfying story line―a rip-roaring novel of historical adventure, heretofore unknown to English-language readers, by the great Alexandre Dumas, king of the swashbucklers. 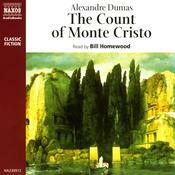 Alexandre Dumas (1802–1870), French novelist and playwright, as one of the most famous and prolific French writers of the nineteenth century, producing some 250 books. He is best known for his historical novels The Three Musketeers and The Count of Monte Cristo, and he was among the first authors to fully exploit the possibilities of the serial novel. 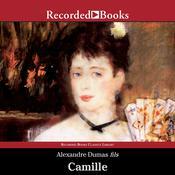 He is credited with revitalizing the historical novel in France. His works are riveting, fast-paced adventure tales that blend history and fiction.